We Are Hiring! Plumbers and Apprentices Wanted!! Apply Today!! 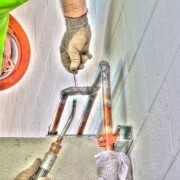 1 or more years of commercial plumbing and/or service plumbing experience desired, but not necessary. City of Phoenix Journeyman License, OSHA 10-hour / 30-hour training and leadership experience a plus. Requirements include lifting up to 50 lbs and working outdoors. Also required is a clean driving record, clean background, clean drug test and E-verify. Please stop by our office to fill out an application and visit at 4723 E. Ingram St. Suite 101 Mesa, AZ 85205. Applications are also available at http://irontree.net/careers. For questions call 480-969-9966. Many companies are looking to hire workers, but Irontree is looking for Teammates! We look forward to meeting you!